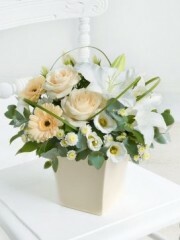 To send your gratitude it’s always nice to send flowers, Stirling flowers have some beautifully designed bouquets and arrangements that will show your thanks. 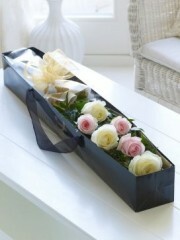 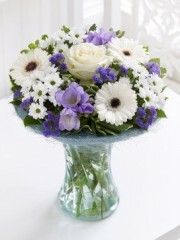 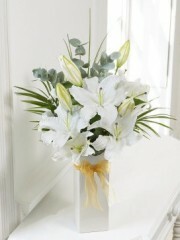 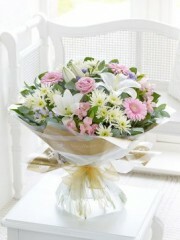 Stirling Flowers can take orders for local delivery as well as orders for elsewhere in the UK and even internationally. 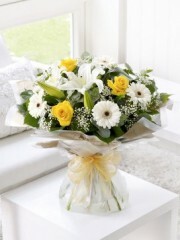 Our florists are knowledgeable about flowers and gifts so if you have any questions regarding our service or products we offer at Stirling Flowers you can call us and we can advise you. 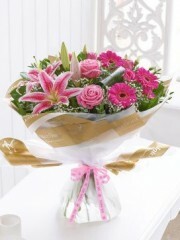 With bouquets and arrangements varying in value, style and size there is undoubtedly something to suit and make someone’s day brighter. 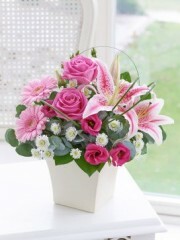 Sending flowers online has never been easier and Stirling Flowers have tried to make the process as simple and easy as possible so after your order is placed with us at Stirling flowers you can let us take care of the rest in choosing, creating, presenting and delivering whatever you order. 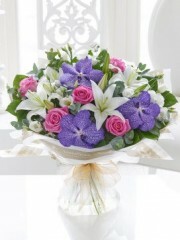 Thank you flowers are designed to make someone smile, sometimes someone has helped you and saying thank you doesn’t fee like enough, sending flowers is the perfect solution to express your gratitude and thanks. 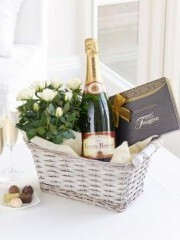 With balloons, teddies, chocolates and wines there’s everything you need to say thanks, we promise to deliver with a smile.